More than 30 000 unique IPs have visited Chessdom’s first article on World Chess Championship 2014 live countdown, the number of unique visitors during the second live article is even more and still is growing. We can only imagine the online crowd when the games kick off. 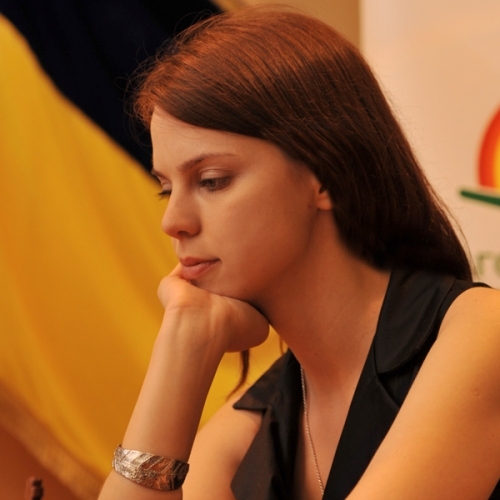 The World Chess Championship proves to be once again the most interesting event for the chess fans. That is why we will continue to bring you the latest news from Sochi, will provide Grandmaster analysis of the event, will produce daily videos by titled players, and will switch on the most powerful TCEC analysis in order to bring the coverage that the chess fans deserve. See you tomorrow for more live updates from Sochi! The day started with Putin congratulating Carlsen and Anand (scroll down to 12:00 CET updates) and just a few hours after that he is confirmed by Forbes as the “most powerful person on the planet” by the prestigious Forbes panel. This is the second year in a row that Putin carries the crown. Obama had previously been on the top of the list for every year with the exception of 2010, when Hu Jintao, the former political and military leader of China, was No. 1. The top five remain the same as 2013 — Pope Francis at No. 4 and the world’s most powerful woman German Chancellor Angela Merkel. Fed chief Janet Yellen moves into No. 6, followed by Bill Gates and European Central Bank chief Mario Draghi. U.K. Prime Minister David Cameron slides up to No. 10. The most powerful people in business are Google’s Larry Page and Sergey Brin at No. 9. More updates from Sochi: after the short inspection today, more models of chairs (see the photo here) will be offered tomorrow. At the airport yesterday Carlsen said that after the inspection today he expects mostly to be relaxing. It turns out that plan will be delayed one day. 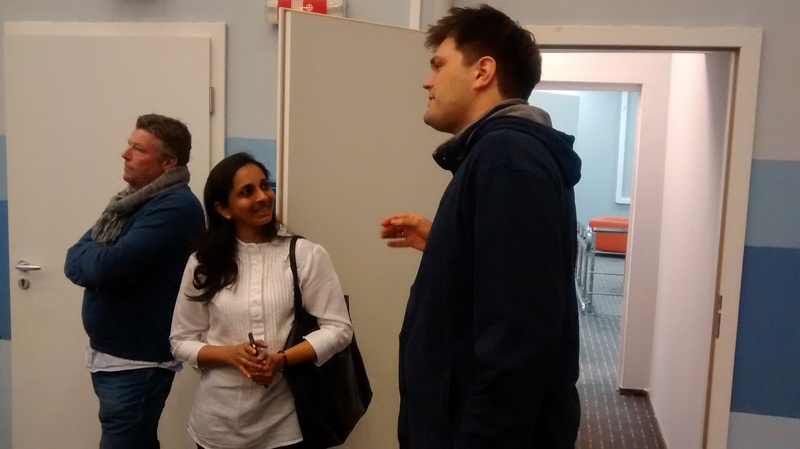 Here is a photo by A. Karlovich of Carlsen and Peter Heine Nielsen at Radisson. The news from the inspection day is that… there will be another inspection tomorrow. Both teams agreed the playing hall state is still “under construction” and have decided to pay a visit to the venue again tomorrow. News from Sochi continue to come though, stay tuned for interesting details. The photo gallery of Carlsen – Anand World Chess Championship 2014 is now active and photos will be uploaded all day long. Bookmark the link, as there you will see behind the scenes action all championship long. 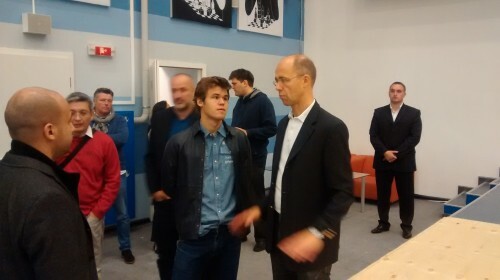 The inspection is already underway in Sochi and Magnus Carlsen is present himself at the playing hall. First photos, news and more pictures to come in the next minutes. “If all these things are ok, the rest is chess,” added Vishy. Chessdom’s editor Goran Urosevic is already in Sochi. He arrived last night at the time of arrival of Carlsen. Expect many exclusive pre-match puctures and twitter updates. As with every inspection day interviews and improvised press conferences are in place. At such press conference Anand threw the “bomb” last year that his second will be Peter Leko (see the live updates from last year). For now Carlsen’s team is putting decoy messages for Norwegian media, more about this in later updates. As a continuation of the chess-politics theme, this summer Viwanathan Anand and Boris Gelfand were awarded Executive Order by Russia for their match in 2012. The award is given for “the development of economic, scientific and cultural ties”. This is basically a translation of the dogma that chess is “sport, science, and art”, and the award itself is a recognition for chess itself. 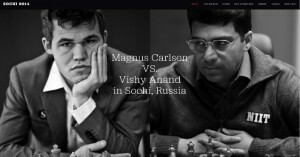 The FIDE World Championship Match between Viswanathan Anand and Boris Gelfand took place in 2012 at the State Tretyakov Gallery in Moscow. This time the facility where the match will take place will not be “Art”, rather a “Sports” center. One could suggest that in order to complete a treble, Russia is going to aim to organize a future World Championship in a “Science” building. The chairman of the Organizing Committee Mr. Dvorkovich is an ambitious man and we might see this mission completed in the future. While waiting for the inspection to conclude, here are some of the news of the day so far. As the two players are already in Sochi, Vladimir Putin has greeted them via the Kremlin official website this morning, see his full statement here. Unlike other Olympic centers around the world, Russia wants to keep Sochi an active sports venue. Therefore, the national administration and particularly Vladimir Putin himself take special care of every event held in the city, no matter if it is a ski competition, an F1 Grand Prix, or a World Chess Championship. Unconfirmed information say Vladimir Putin will be present at the opening ceremony and may make the first move in the competition. Politics and chess always go hand in hand. Bulgarian President Parvanov honorary chairman of the organizing committee in WCC Sofia 2010 and was present at the Topalov – Anand match, the Chennai chief minister Jayalalitha was the central figure of the match in India, and who knows one day a president of USA or China can host a match in Washington or Beijing. For anyone acquainted with the amount of fans chess has around the world, it is no wonder political figures will always be interested in the game. Inspections day is a tradition of the World Chess Championships. It was Bobby Fischer who set the first modern age standards of distance of cameras and atmosphere in the playing hall. Since then we have seen a big evolution in organizational standards and since 2006 yet another revolution due to security and anti-cheating measures. Even in the last years inspection from inspection differs. During the World Championship 2010 in Sofia Anand and Topalov inspected mostly the light and the chairs. It was an inspection done in separate by the two teams, as the rivalry between the players had escalated because of the volcano incident.